Throughout his career, Taylor Bell was honored for combining his love of sports with his ability to write hard-hitting enterprise stories. 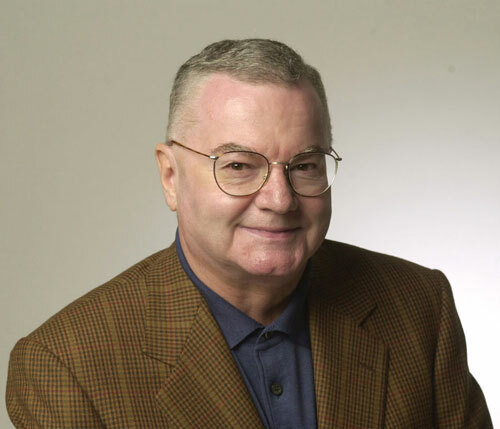 After college, Bell got his start at the Champaign-Urbana Courier and went on to work for the St. Louis Globe-Democrat, 1966-68, Chicago Daily News, 1968-78, and the Chicago Sun-Times, 1978-2001. In 1974, Bell won Associated Press and United Press International awards for a recruiting story on Marquette University basketball star Bo Ellis. In 1979, UPI named him Illinois Sportswriter of the Year. In 1982, Bell’s story on basketball star Efrem Winters won the Jacob Scher Award as the best investigating reporting of the year in Chicago in any media. Bell was inducted into the Chicago Journalism Hall of Fame in 2001, when he retired from the Sun-Times. He was inducted into the Chicagoland Sports Hall of Fame in 2002. Bell also received the Illinois Basketball Coaches Association’s Buzzy O’Connor Award for contributions to high school basketball in 2002. He has written two books — Sweet Charlie, Dike, Cazzie, and Bobby Joe: High School Basketball in Illinois and Glory Days of Illinois High School Basketball, which is comes out this month. Bell is working on a third book, The Tom Lemming Story, which is expected to be published in 2007. Bell continues to report on high school sports for the Sun-Times part time. This bio was written at the time of Taylor Bells’s inauguration into the 2006 Illini Media Hall of Fame.